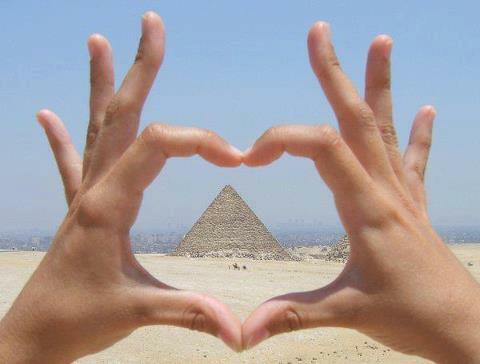 It is great to see initiatives that encourage visitors to come to experience Egypt. A upbeat group of foreign and Egyptian youth performs a flash mob at Al Azhar Park to show Egypt is still a safe place for tourists. By Lucia Admiraal. It is three minutes before Maghreb (sunset) on August 12 and everyone at Al-Azhar Park was gathered waiting for iftar time. Suddenly a group of more than 50 Egyptian and foreign youngsters strike a pose and freeze. A young man sits on the grass without moving, holding his guitar. A French woman stares at the distance, motionless and absorbed in thought. On a low wall stands a man holding a fluttering Egyptian flag, the only thing that seems to move. Walking out from behind a hedge, an Egyptian couple enjoying the sunset are startled at the scene that they have suddenly stumbled upon. Then the call to prayer is heard from the surrounding mosques, and one of the human statues breaks the silence: “Let’s go eat, guys.” And the crowd dissolves into movement again. The freeze-flash mob group heads off to enjoy their multi-cultural dish party, organized by two online communities, Cairo Scholars and CouchSurfing Egypt, to promote Egypt as a safe environment for different cultures and nationalities.